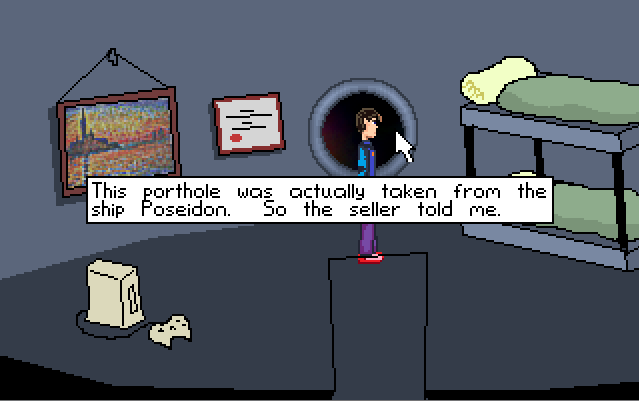 At the moment we're refining one of the cut scenes, adding voices, refining animations, putting a few more graphical elements in and starting to build the puzzles. I have to say (again!) that I'm delighted with the progress we've made on the game so far, and the talented people that have come together to help make it. We hope to be able to release our "proof of concept" demo really soon, which will show a very small section of the game in pretty much its completed state. ... originally I had been planning on releasing 11 episodes based on the short story episodes, but to be honest the stories don't lend themselves to it very well at all - too much humour and plot development relies on random chaos! So we've decided to move onto a new idea - bigger games, with a completely developed plot, just featuring some elements from the stories if they fit okay. 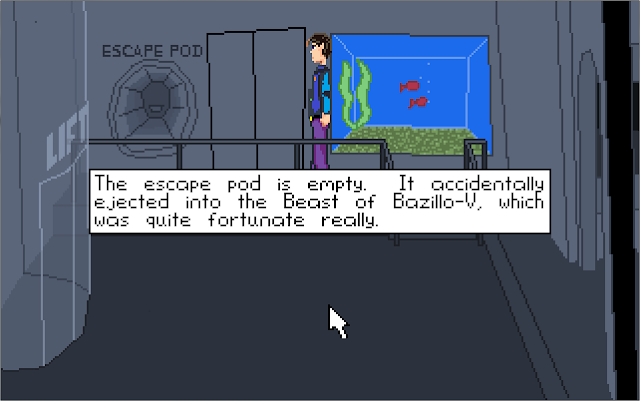 The idea is now to do much bigger games than I'd originally planned, and although nothing's set in stone yet, I really like the idea of making this a commercial venture rather than freeware. To do this we'll obviously need to make sure that the game is both long enough and good enough to warrant charging for it, but I think with the talented people already involved, that shouldn't be a problem... More news on that when things start to develop and get confirmed. In other news, I've decided to create the Captain Disaster Collection - Compact Edition Ebook, which I'll release soon - this will contain the 11 episodes and a short description of how the character and ideas have been used to create the computer game. As the title suggests this will be a bit more compactly formatted, and also significantly cheaper than the current edition of Space Oddity. 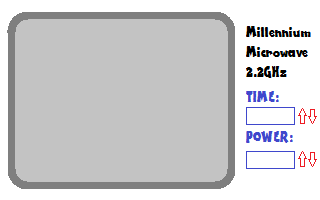 These are my first rough takes on the HUD (Head Up Display), Microwave (every starship should have one!) 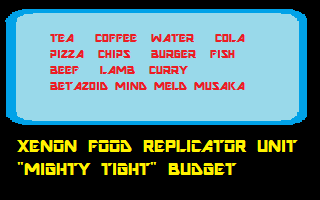 and food replicator (doesn't work as well as the one on the Enterprise). Taxler will turn them into much more visually appealing creations!! Wait... is it me, or does the empty escape pod look like a smiley face?!? 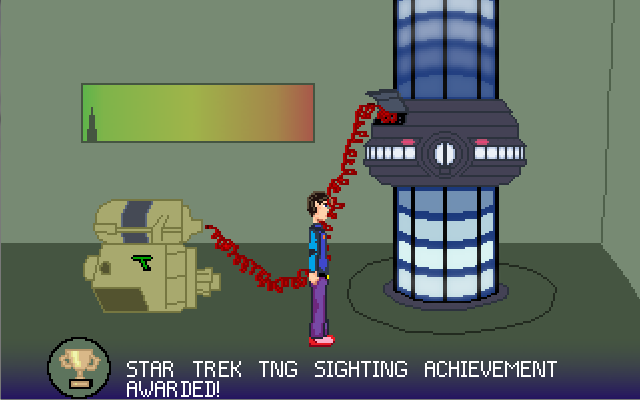 Yes, there will be utterly pointless achievements in Captain Disaster: The Computer Game! All rejoice! Will have to make a decision on screen resolution - we had been intending to go for 320x200, but not so suto re the sprites would work so well with this. 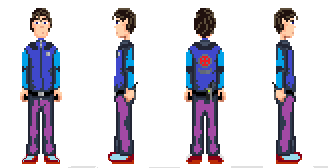 When resized to our original character dimensions it looks less defined and I'm pretty sure will be more difficult animate - it does have a certain MI2 vibe, but even so... I'm not too sure about it. Anyway I'll see what my partner in crime thinks and we'll come to a decision. Anyway, the game is progressing quite nicely so far, though I'm still not too keen to pin a release date on Episode One at the moment.